Berlin Opticians Gallery is proud to present Six Portraits, the first solo exhibition by the California-born artist Sven Sandberg. Formally, Sandberg works within the traditional boundaries of painting. Drawing upon the rich tradition of portraiture, genre and landscape painting, his oil paintings usually take the form of portraits or figures in interiors and landscapes, often referencing well-known art historical conventions. The subject matter, on the other hand, is often inspired by the connections and overlaps that the artist finds between art history, film, and literature. The blending of cultural references and characteristics provides Sandberg with archetypal, imaginary subject matters that make it possible for the artist to portray 'types' of people in particular situations rather than specific individuals. 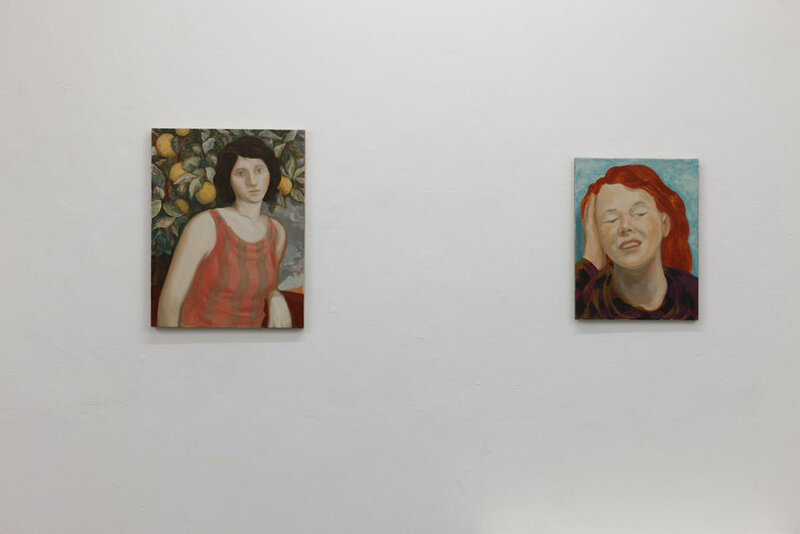 The titular Six Portraits take as their starting point the artist’s own experiences of travelling around Europe as well as the diaries and photographs of early twentieth century travellers. This combination of sources and perspectives results in a set of characters and scenarios that feels conventional and familiar. 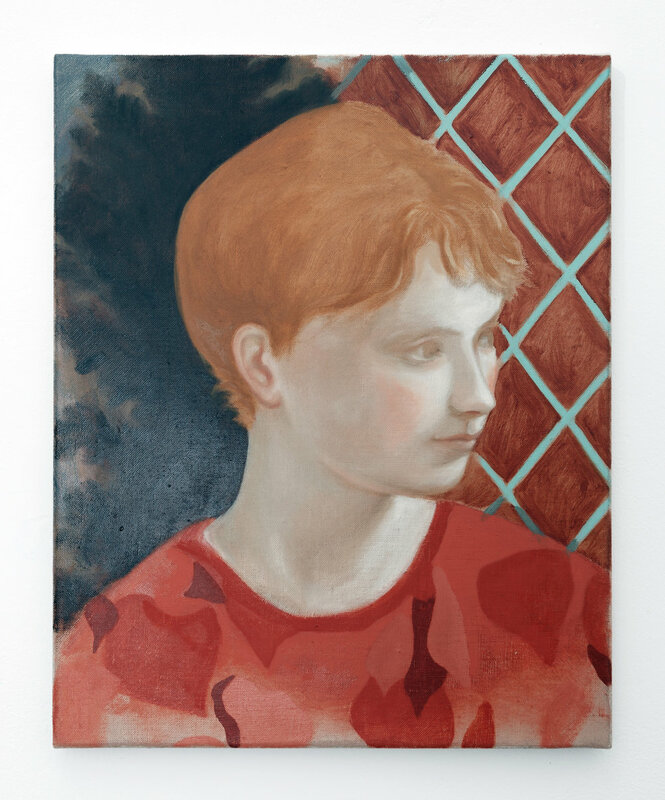 The thoughtful Venetian boy looking away, the ecstatic and overwhelmed red-head captured in In the Sun, or the reposeful Gardener embracing a bunch of white flowers – each portrait captures a universal moment and experience. Sven Sandberg received his MFA from the National College of Art and Design in Dublin in 2016. He has participated in group shows in the United States and Ireland, including the 2016 RDS Visual Art Awards exhibition, where he was joint recipient of the R.C. Lewis-Crosby Award. He received one of the Arts Council's Next Generation Artists Awards in 2018. His paintings are in public and private collections in the United States and Ireland. Sven Sandberg currently lives and works in the west of Ireland. Berlin Opticians Gallery presents and promotes the artists’ works with a scheduled programme of exhibitions available through online documentation every six weeks and punctuated with off-site physical exhibitions and projects in various unique spaces around Dublin.